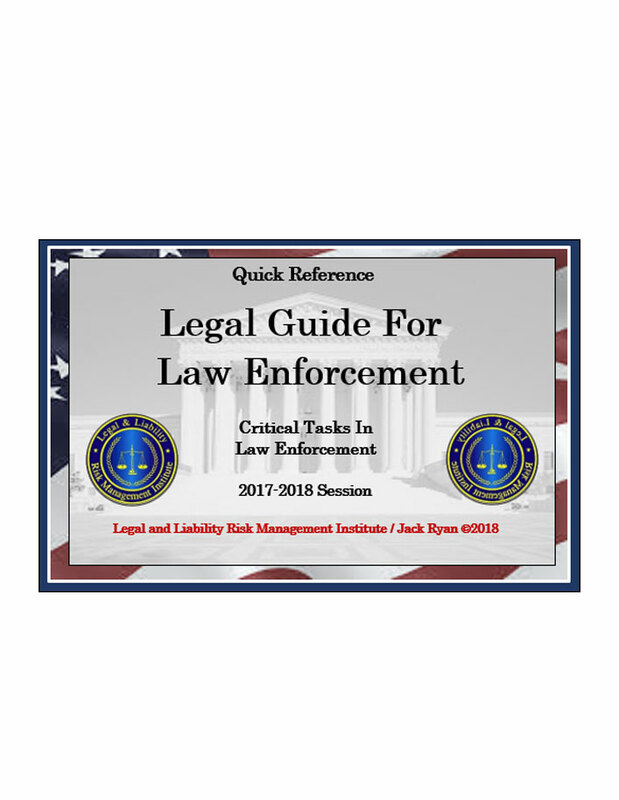 The purpose of this manual is to provide law enforcement officers with a reference guide to the law impacting critical tasks in law enforcement. 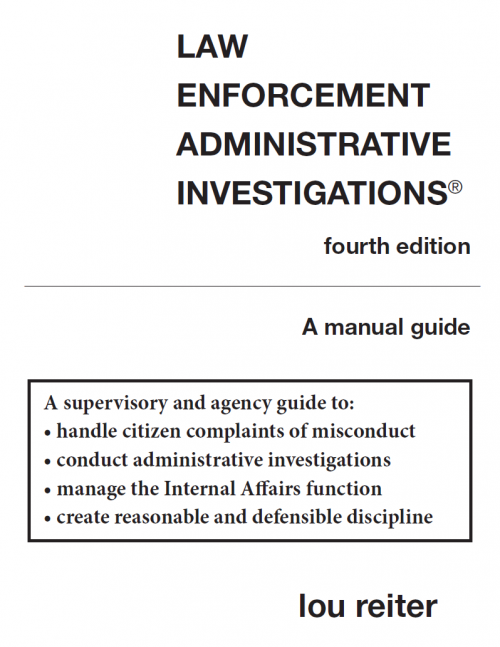 The guide is arranged by topic in accordance with the recurring tasks that law enforcement officers are called upon to respond to. 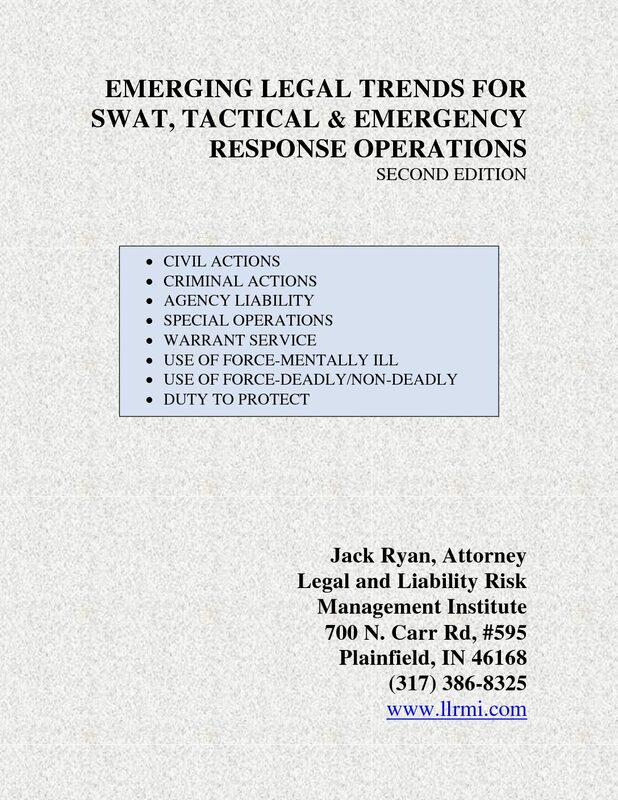 This guidebook will assist officers in preparing for critical tasks as well as providing a checklist of the necessary elements to support officer conduct. 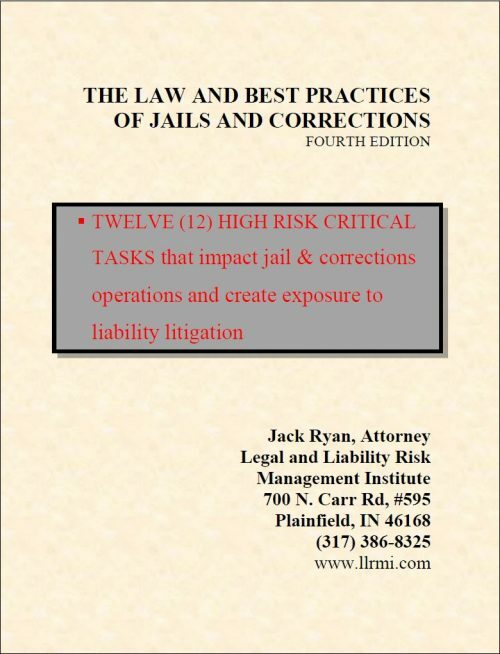 Supervisors can utilize the guidebook to review officer actions to determine its consistency with the law as interpreted by the United States Supreme Court as well as the developing trends in the United States Circuit Courts of Appeal. 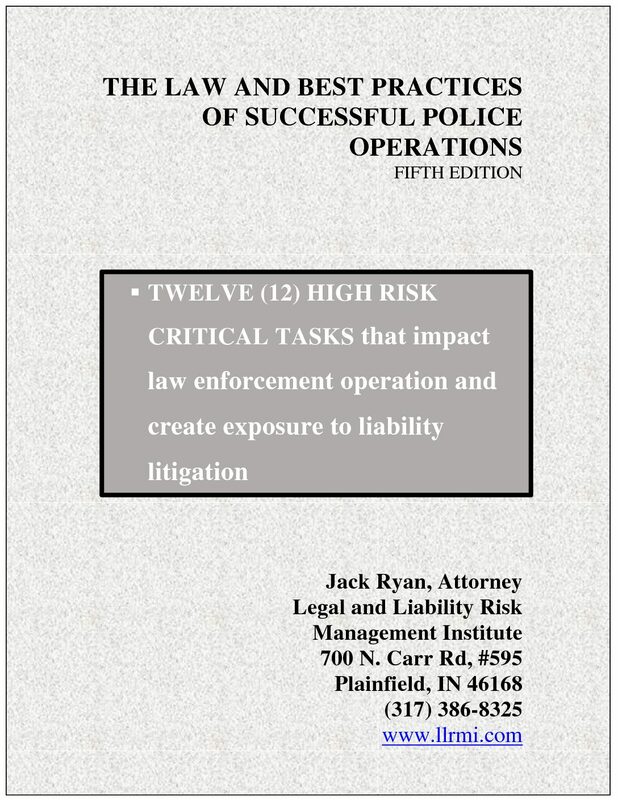 At the outset it should be noted states may be more restrictive in certain aspects of the law relating to police powers based upon the state’s constitution. Officers are advised to always be aware of state court decisions as well as state laws that may be more restrictive on police conduct.